The darkness is here and with it comes destruction and Hell will be brought to earth. We need a hero to save us all, and it might be you. Play now and find out! 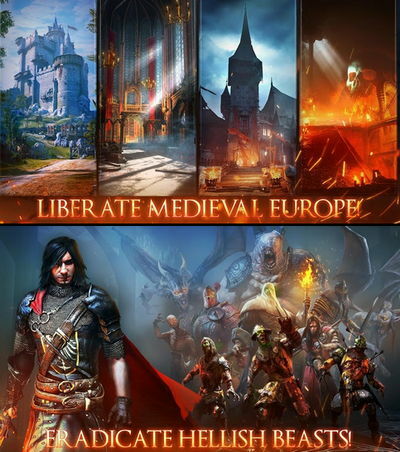 - Discover the history and fantasy of the Middle Ages as never before. Fight unlimited battles against possessed and demonic forces of Hell (walking dead, vampires, etc) through scenic and iconic European landscapes. - Develop your own combat style: Link up taps and swipes to perform unstoppable combos that will crush your foes. Our innovative combat gameplay will allow you to focus on fighting the evil hordes and not on finding the controls. 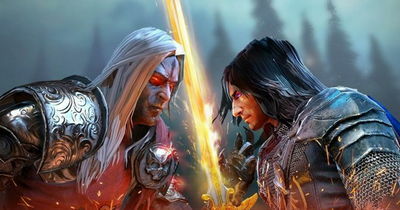 - Unbelievable combo attacks and finishing moves fit for and iron blade warrior. - Unlock, manage and upgrade a variety of weapons and armor to best express your fighting style. - Attack other players and crush their defenses to claim their resources in glorious PVP. And strengthen your defenses to protect yours. Install apk, Extract DATA to sdcard Android/Obb , and play the game.